Ada Lace is building a new robot! She’s determined to beat Milton in the upcoming robotics competition. But she’s distracted—Ada finds her dad’s art class impossible, while Nina is the star of the class, basking in the glory of being Mr. Lace’s star pupil. When Mr. Lace suggests that Nina put on an art show, Ada becomes jealous and loses her temper. Now Ada isn’t speaking to her dad, she’s falling behind in art class, and she still doesn’t know how to fix her robot. As the competition looms closer, Ada starts to wonder if there might be a way to use both science and art to solve her problems. Will Ada make up with her father in time to test her hypothesis? Or will her hurt feelings leave her seeing red and without a medal at the end of the day? 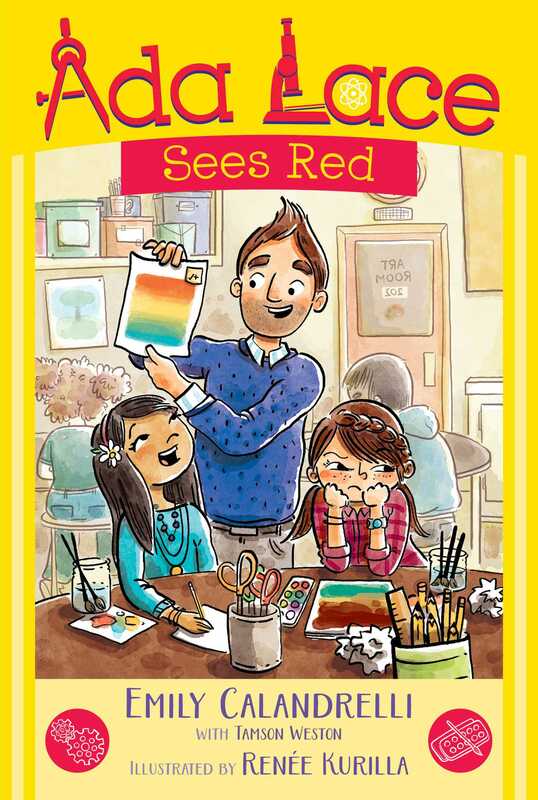 "Gears, robots, color theory, and color blindness mesh nicely in this school-and-friendship tale." "The pages are full of fun b&w illustrations with a “Behind the Science” section at the end of each book."